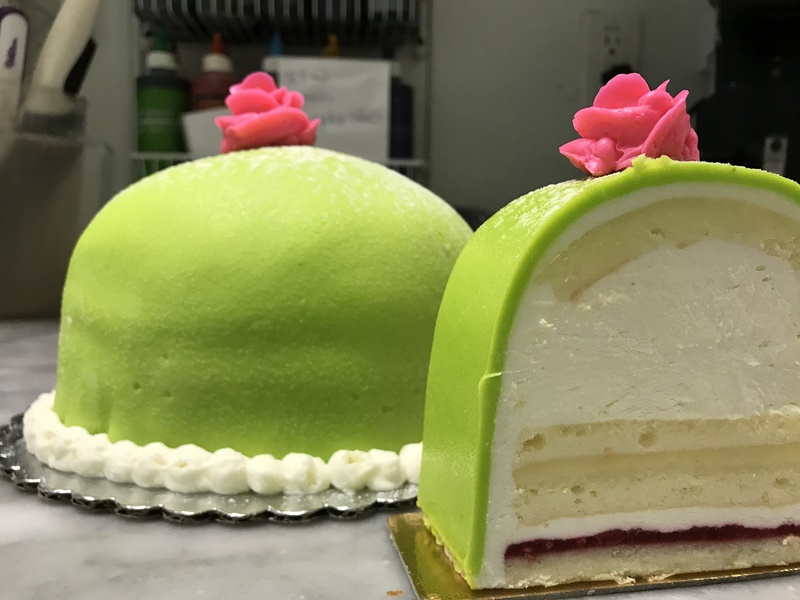 Swedes in Seattle don’t have to simply dream of eating a slice of Princess cake. They can indulge in the decadent dessert at Byen Bakeri. A traditional Swedish layer cake, Princess cake came to public attention in the 1940s after being featured in a cookbook by Jenny Akerström, who taught the three crown princesses of Prince Carl, Duke of Västergötland. Antalek does her part to carry on the tradition of helping out a charity by donating a portion of the shop’s sales during Princess cake week to the Queen Anne Helpline, which helps prevent homelessness and shares a neighborhood with Byen Bakeri. Making the cake isn’t for the faint of heart, according to Antalek. The cake consists of layers of thinly sliced sponge cake. They then are layered with raspberry jam and pastry cream (a custard). Once assembled the cake gets a dome of whipped cream that is covered in green marzipan with a pink buttercream flower. The process can take days. The cakes are so popular that last November, she drove six to Tacoma about 40 miles away for a customer. She and her husband Larry Walsh, who has a Norwegian background, had been looking for a business to buy when they learned the original owners of Byen Bakeri – Michelle and Brian Morck – were retiring from the bakery business. The former owners worked with Antalek and her husband for three months to make the transition as smooth as possible. Antalek, who completed a pastry apprenticeship in Germany before operating coffeehouses, driving business growth at Darden Restaurants for eight years and spurring innovation at Starbucks for 11 years, is using the same recipes and also adding some new recipes to the menu. 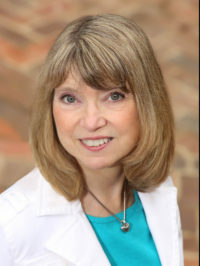 After buying the business, she and her husband connected with the Swedish Club in the neighborhood. 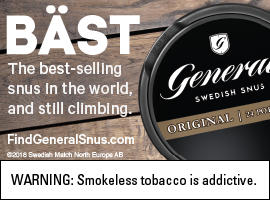 Originally started in the late 1800s by immigrant Swedes, the club’s members mostly are Swedish or Nordic. The bakery is a prime destination because of its Swedish specialties. 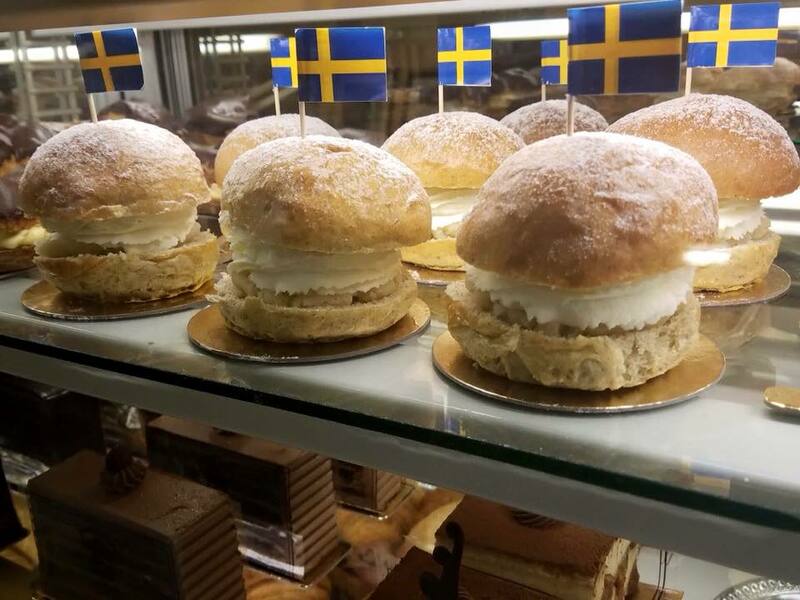 In addition to Princess cake, the bakery carries limpa, a classic Swedish rye bread sweetened with molasses, and semla, a traditional Shrove Tuesday rich, decadent bun. The store also regularly carries cardamom bread. 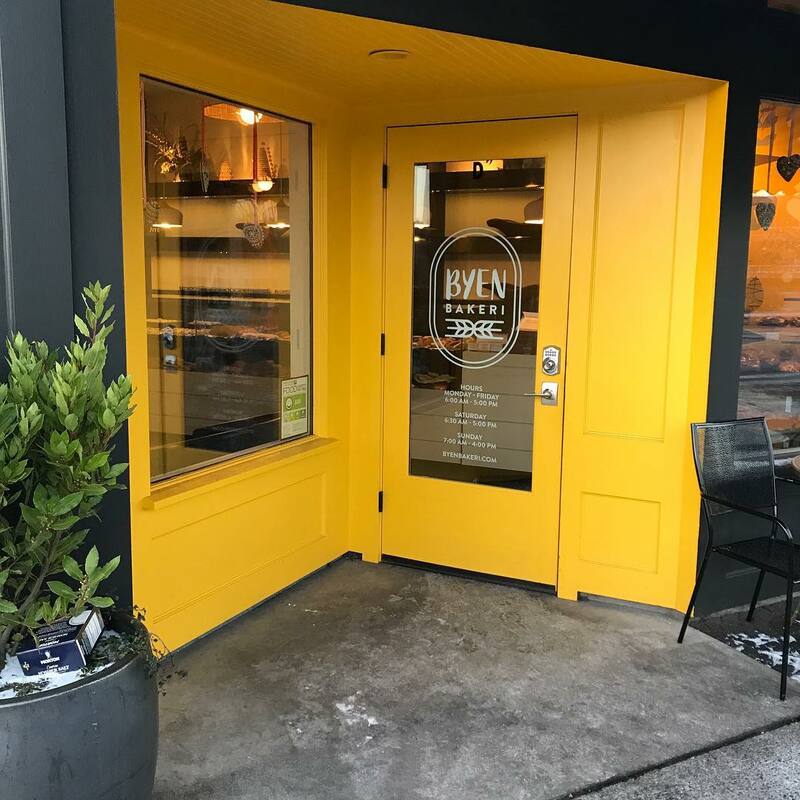 The 25-seat bakery and café is located in an area that connects five neighborhoods, neighborhoods that support it and provide a good mix of customers. In addition to cakes and pastries, it serves breakfast and lunch sandwiches and coffee. “We make a homemade cardamom syrup and a lingonberry syrup for coffee,” said Antalek, who also has been a Certified Sommelier for nearly 20 years. About 20 percent of Byen Bakeri’s customers are Scandinavian.